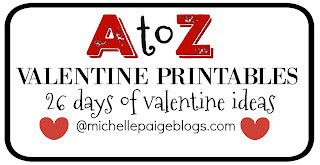 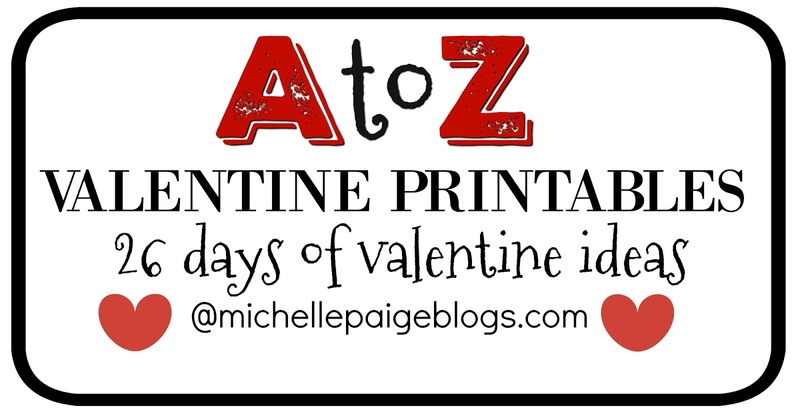 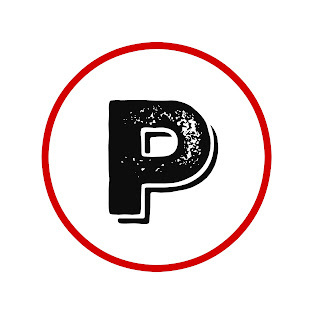 We're on the Letter P of my A to Z Valentine Printables. Click here if you want to start at the beginning of the alphabet and see everything I've been up to. 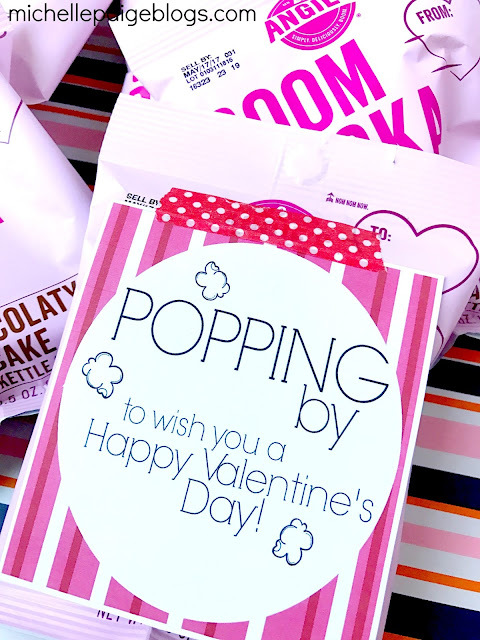 P is for popcorn and popping...and today really is 'poppin' with some fun valentine ideas. 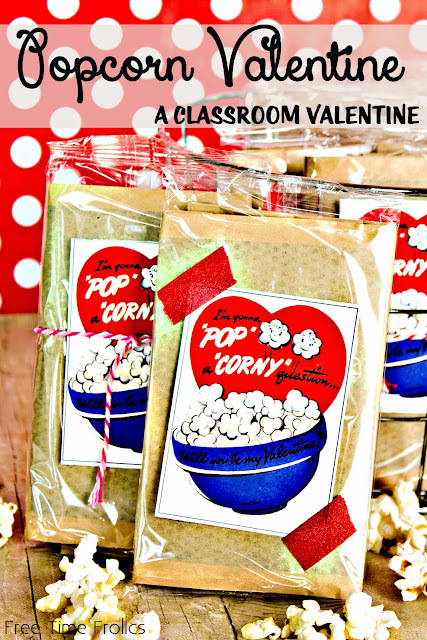 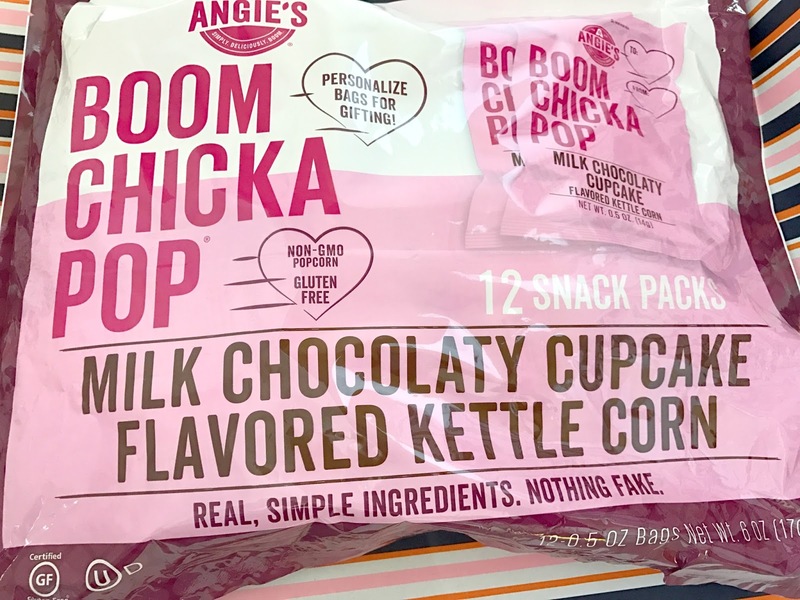 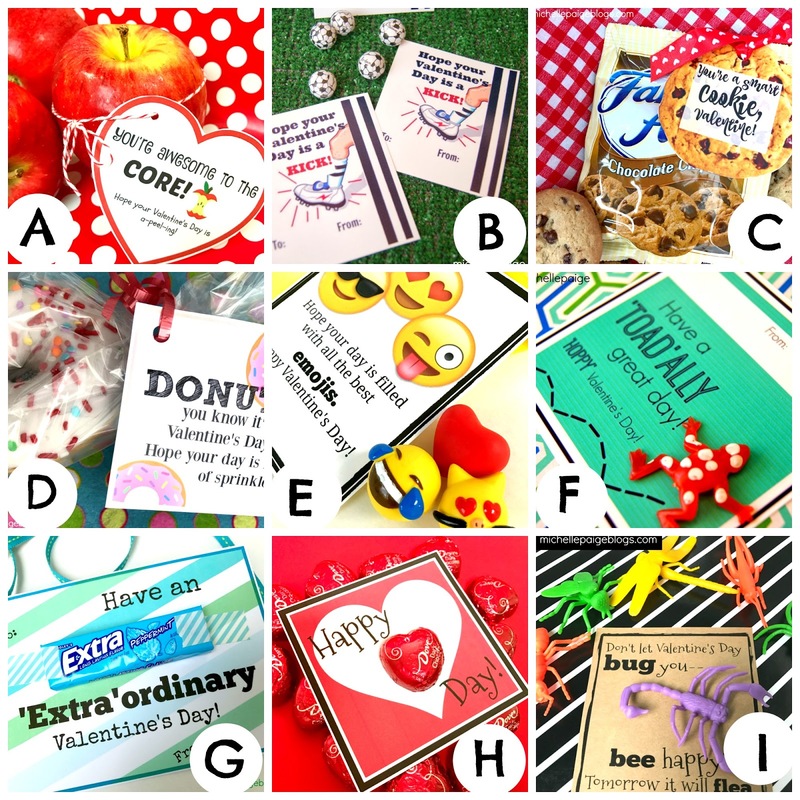 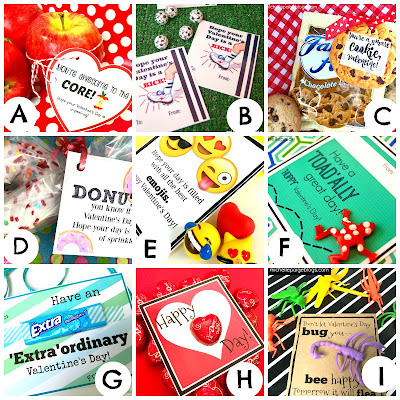 To make these fun valentines, purchase classroom bags of Boom Chicka Pop Flavored Kettle Corn (I bought mine at Target) and print out my tags. 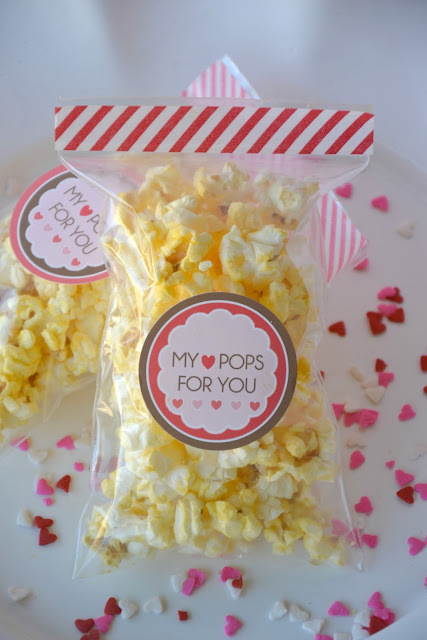 Click here to print your own popcorn tags. 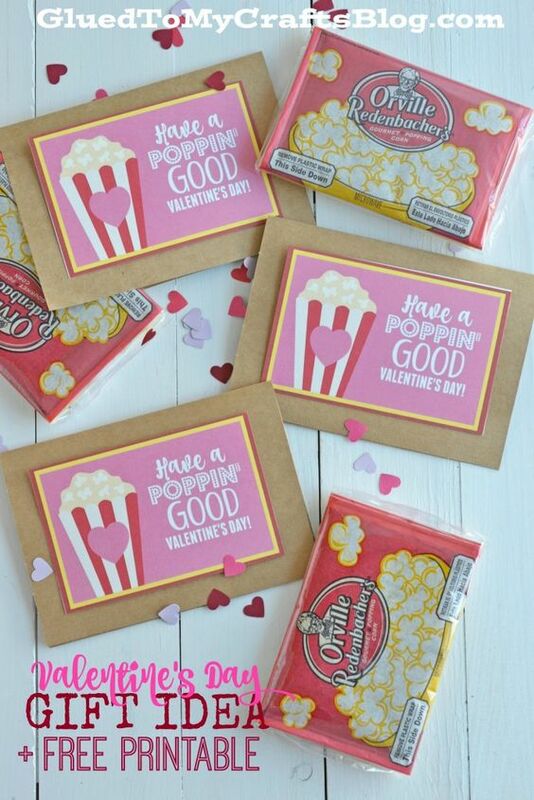 You could also use packs of mini bags of microwave popcorn as well (or make your own and bag it up). 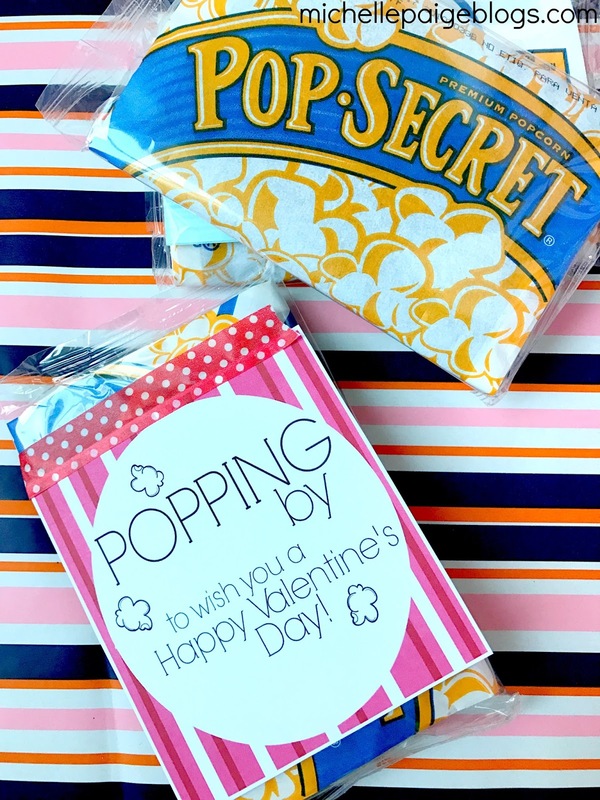 Just tape on the tag with washi tape. 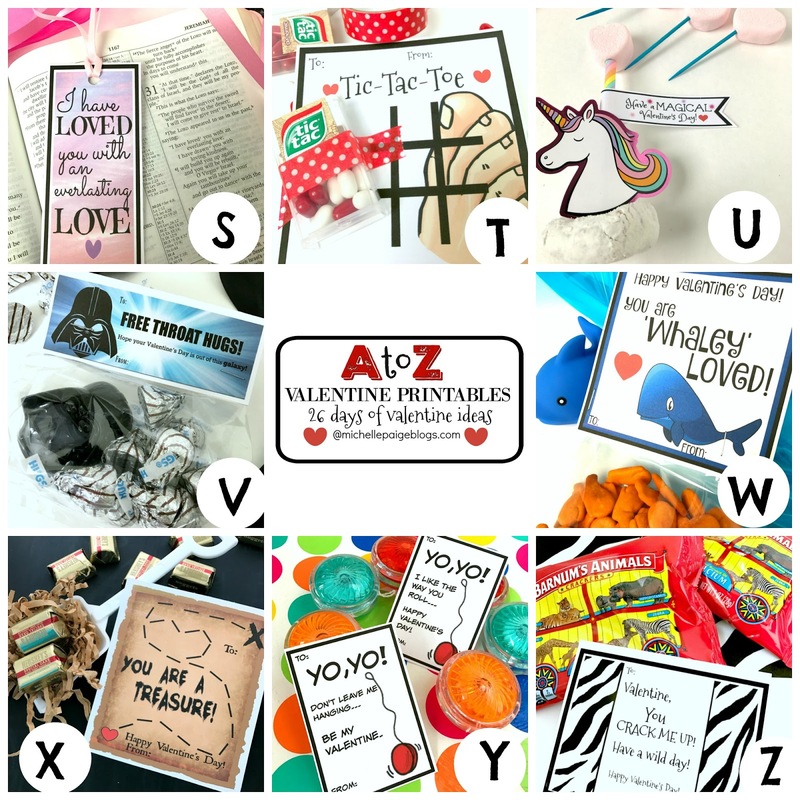 A few years back I was crafting up various valentines to find one that my 11 year old son could hand out to classmates. 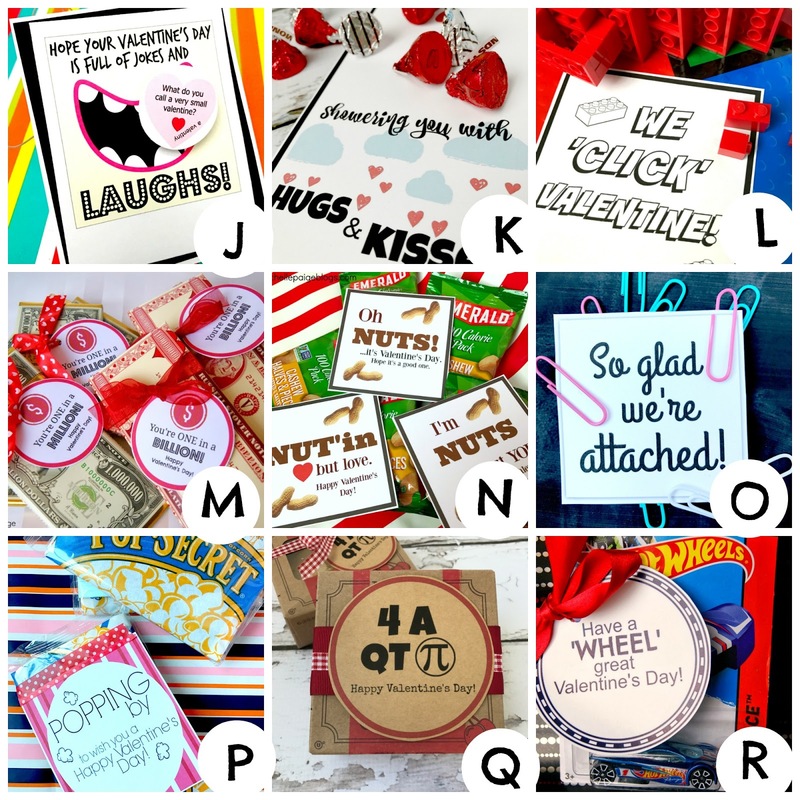 He was so picky! No hearts, no mushy greeting, etc. 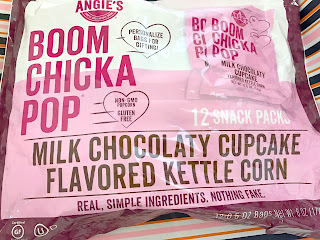 I thought these would work. 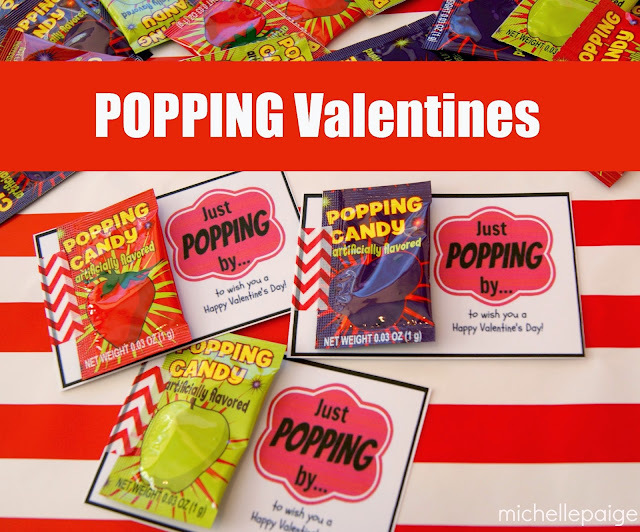 You can attach PopRocks candy or these Popping candies we found at the Dollar Store. 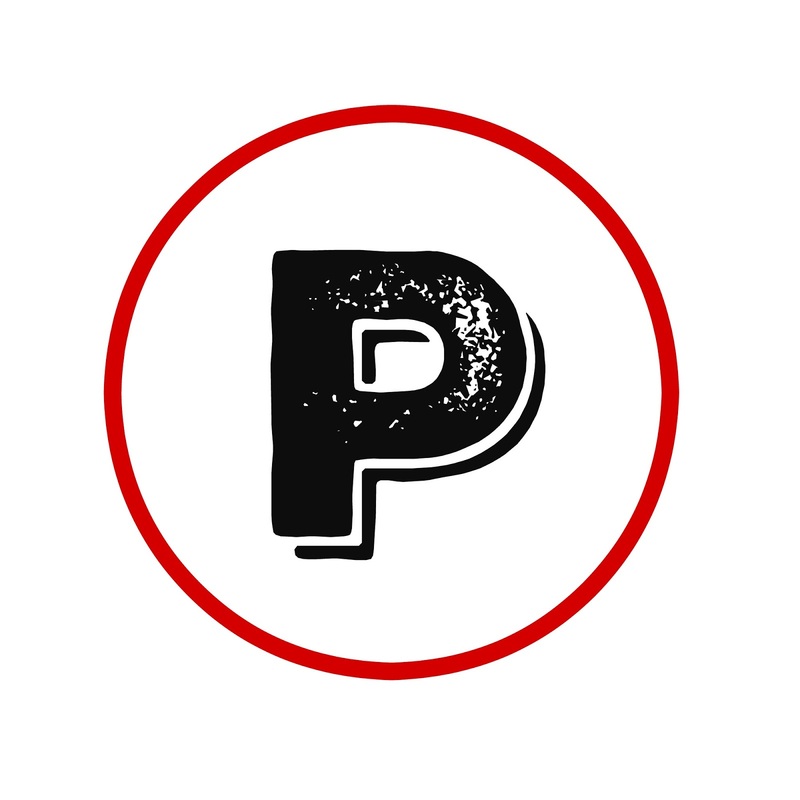 Click here to see what my son thought. And here's some more ideas 'popping up' on the web. 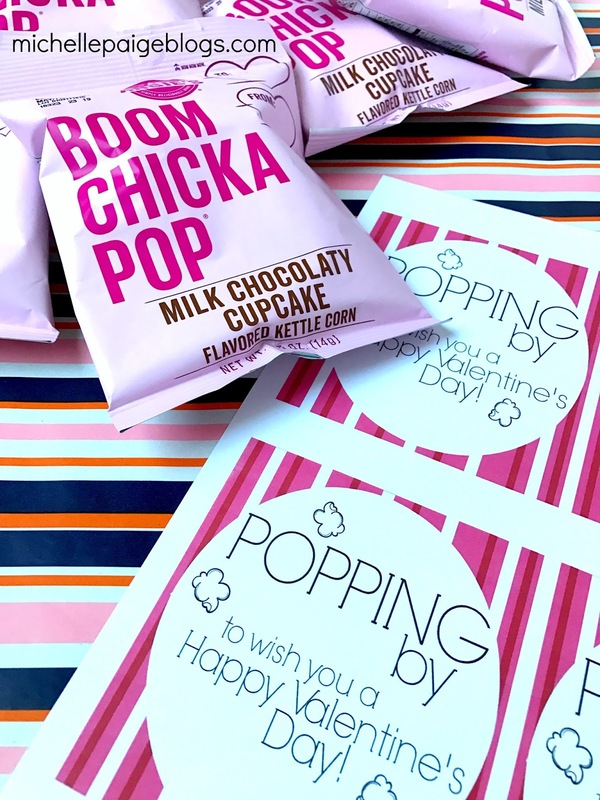 Hope your day is 'popping' with fun!